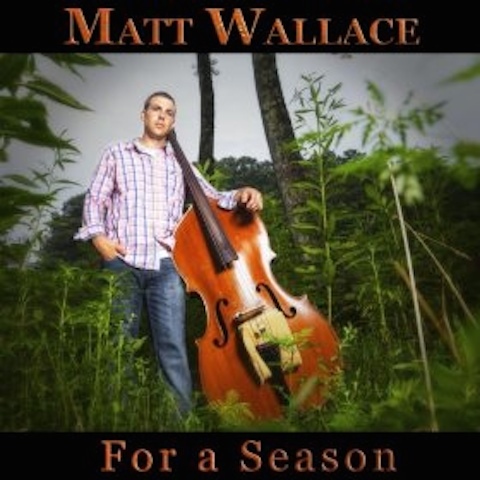 Pinecastle Records is proud to announce today’s new album release, For a Season, by Matt Wallace. The first single release, “Old Man Winter” has been receiving airplay from radio stations around the country and is such a timely tune for the harsh winter many have seen this year. The full album has now been sent to radio stations and is also available to radio via AirPlayDirect.com. Matt was joined on For a Season by Paul Brewster, Jesse Gregory, Wayne Taylor and Jerry Cole. The album is available for purchase at iTunes, Amazon, Pinecastlemusic.com, mattwallacemusic.com and more locations. Matt Wallace grew up in Knoxville and still makes his home there. After playing collegiate baseball, he began pursuing his passion for music and has certainly had an impressive career making his Grand Ole Opry debut in 2012 performing with the legendary Jesse McReynolds. Through the years, he has toured with some of the best in bluegrass including most recently Newton & Thomas and appearing on their current Pinecastle Records’ album, “Reborn.” He has also performed with David Parmley and Continental Divide, Audie Blaylock and Redline, Pine Mountain Railroad, and Paul Williams and The Victory Trio. Matt can be seen this year touring with Terry Baucom. He stays in high-demand as a fill-in and session bass player. Matt is sponsored by Genz-Benz, TKL World Class Cases, NS Design, D’Addario Strings, Peterson Tuners, and Holmes Bass Violins. For more information on Matt’s new album, please visit www.mattwallacemusic.com and www.pinecastlemusic.com.